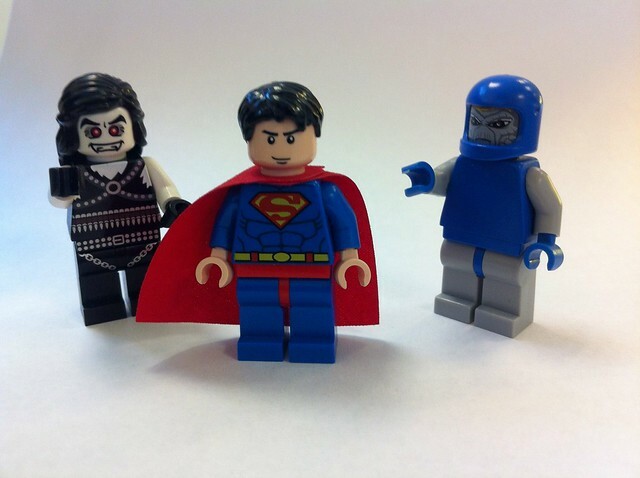 We all know that lego will never get around to designing and releasing every member of the Marvel/DC universe. 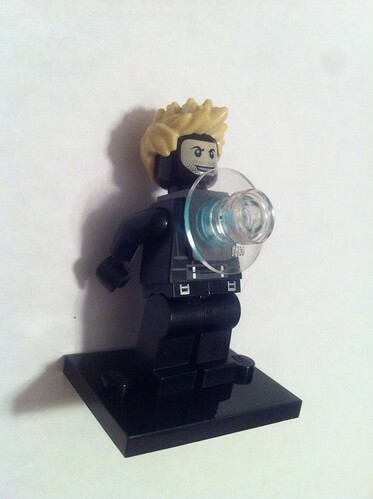 However they may unknowingly give us some of the "perfect" parts needed to make our own figures. That is why I'm setting up this thread for people to share their ideas for purist figures. 2. Suggest a perfect part: If there is a good part, but you don't know what to do for the rest of the fig, go ahead and provide a link. With this thread, I hope to make a decisive list of read-outs for purist super hero figures. Also, before we start, the figures don't have to be perfect, with such an infinite universe it doesn't matter if the character is %100 accurate, but the general colours and attire should be instantly recognizable. If we all can settle on the ideal figure, I'll add it to the database. My one idea (as of now) is for Cyclops. 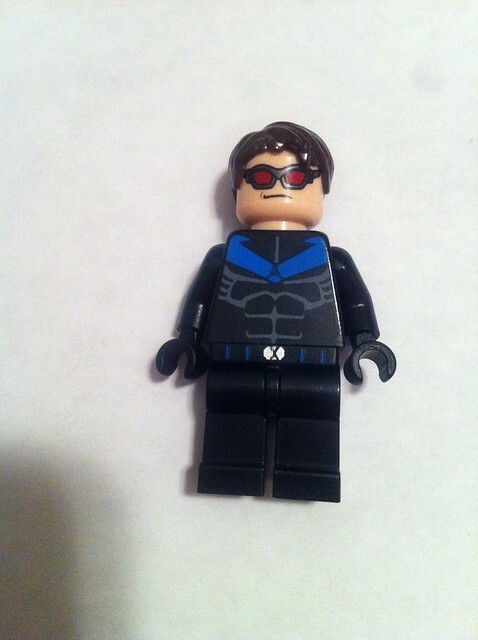 Use Hawkeye's face (glasses), Mutt Williams hair, the torso below and plain black legs. Credit to The Real Indiana Jones for the idea. Great idea! Hopefully we start to get some new heroes! 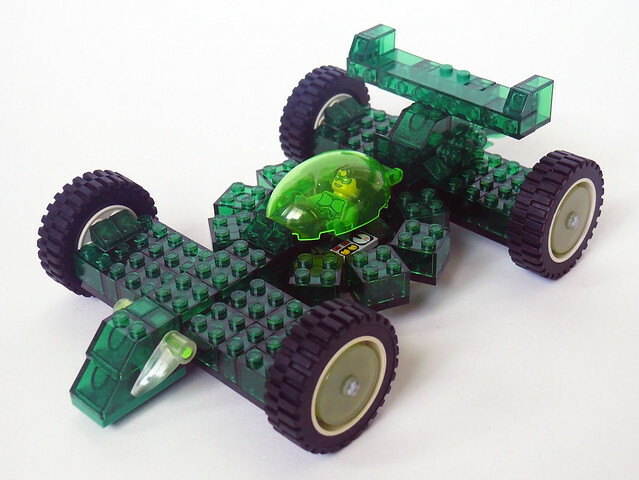 Quick question though, are brickforge pieces and stuff still considered "purist"? Because I know that the savage mask would look pretty good for a comic book Hawkeye fig! I know we already have a Poison Ivy fig, but for those who want a green one like she's sometimes portrayed, I like my solution. CMF Series 6 Lady Liberty head and torso, Friends fig Mia's hair, and sand green legs with dark red hips. 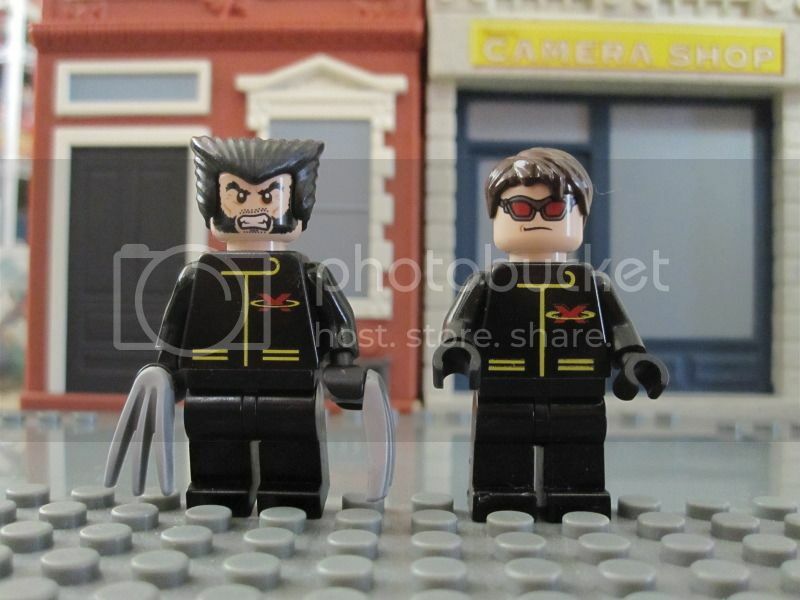 Yes, and that torso could be used for the rest of the X-Men. 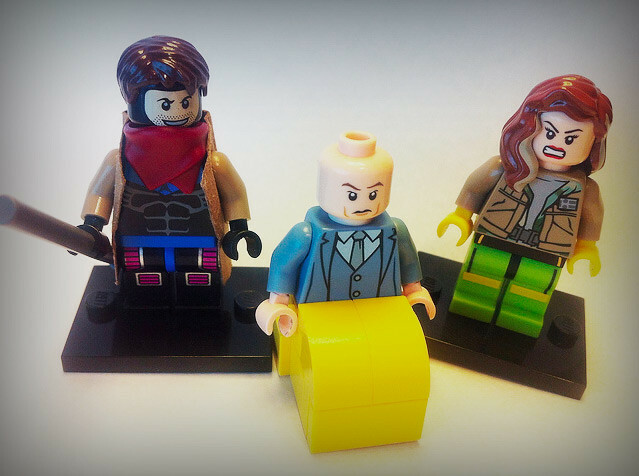 I saw these figs on Flickr. Credit to Jaypercent. I really like these solutions. Pictures are the links. Now that's a really good Havoc. 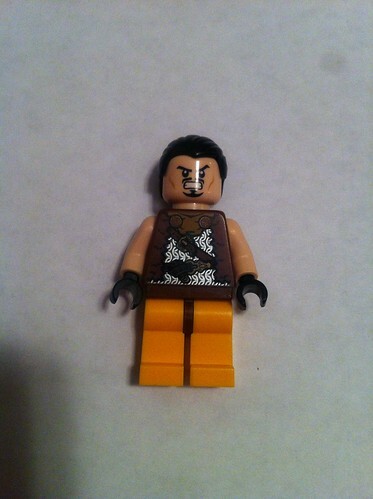 That Kraven is really good, but I think the new 2011 Boba Fett wookie pelt would look really good on him. 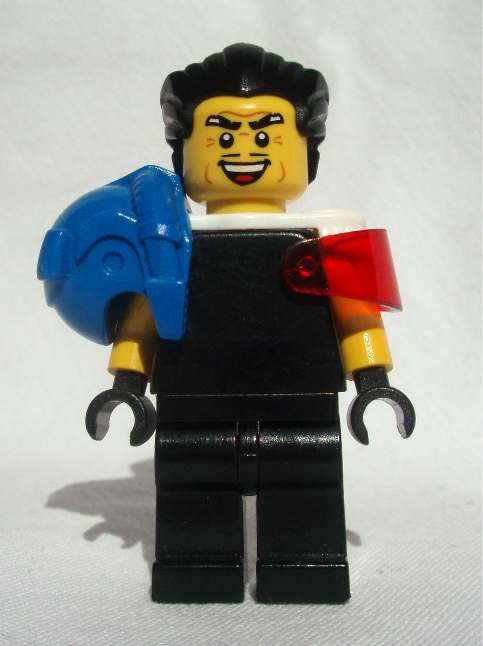 He also made that Scott Summers K-Nut suggested, except with a Nightwing torso instead of Racer X's. This is a nice idea, Sok. 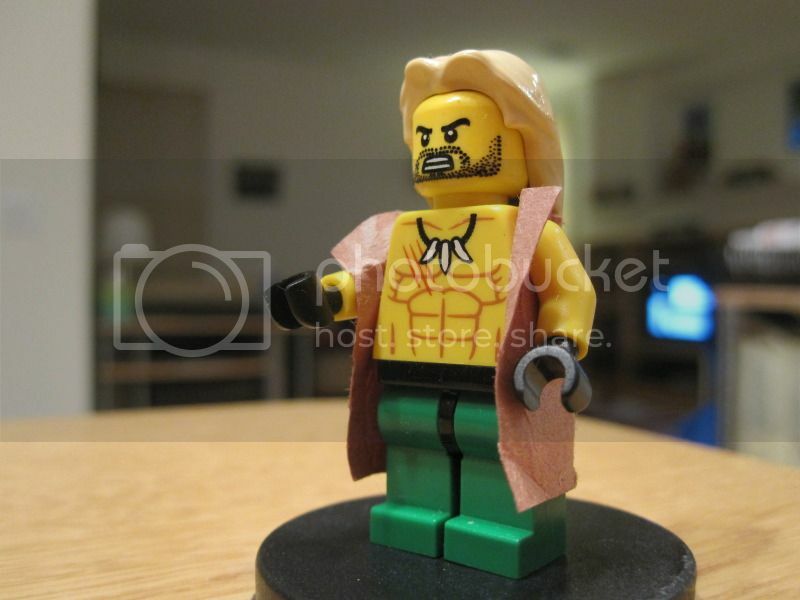 But I do think it belongs in the MCW forum. Even purist figs are custom. Red Hood (jason todd version obviously, Aquaman...Arthur Curry, sigh, Azrael and Green Arrow. Would using a sticker from an official set still be considered purist? I think so, although most purists prefer not to use any decals on their figs at all. By the way, I just thought of something. You could make a nice purist Nightwing using the new Robin's head and Snape's hair (or any black hair you think suits the character) on a plain black body with blue arms. Adding a torso decal for detail would be optional. a couple days ago Oh well, cheack it out if you havent. 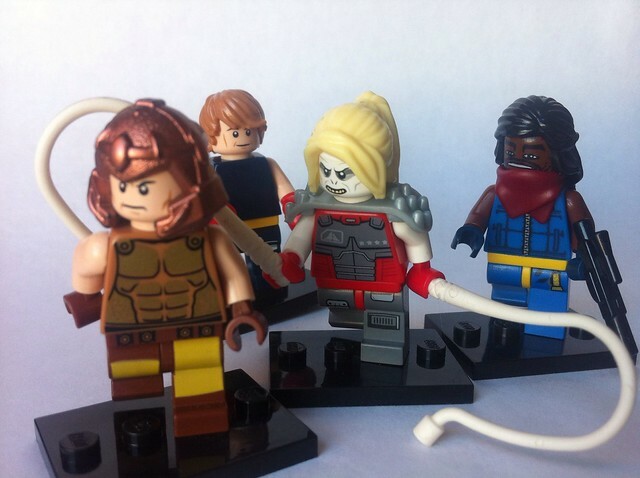 Noticed last night that Jungle Boy's torso makes for a pretty good Ultimate Sabretooth. He's even got slash marks in his chest from Wolverine. 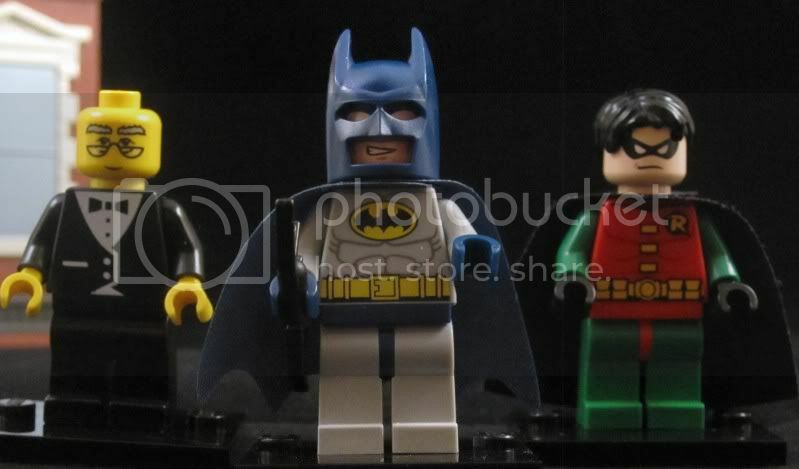 Hulk's torso looks good for a vision minifig, along with robin's cape. 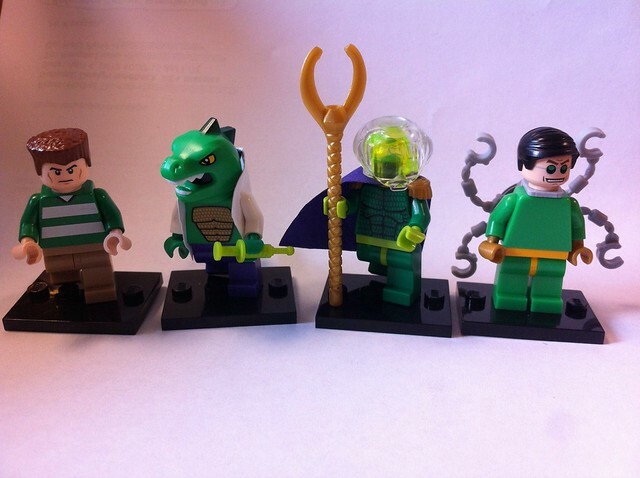 As for the face, I'll bricklink ufo faces to see if any of them fit the bill. 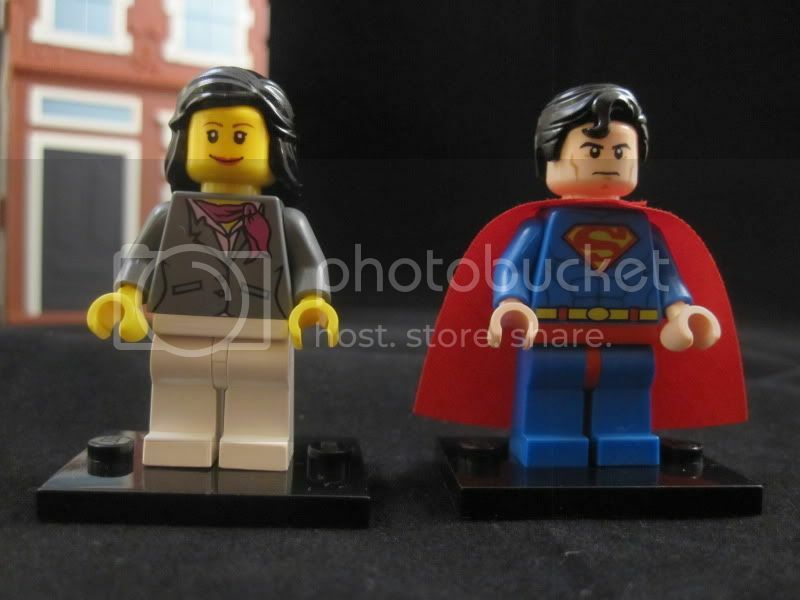 I'm a butcher of minifigs, so I'm not really big on Purist stuff, but Hobbestimus, LOVE that Lois Lane. Great choices for her. And I like your other choices too. Nice stuff! you could wait for the monster fighter set with Bat creatures in it. Nice work, Hobbestimus. I'm not a big fan of mixing yellows with fleshies, so I'll have to see if I can make fleshie versions of those figs. The Movie X-Men are pretty spot-on though! Hey! Heres a idea: First paint the wings from the ten doller Batman set brown, then paint the old vempire hair brown, next use the cms6 minitour chest, the cms werewolf head and legs. And there you have a custom Man-Bat! Thanks, Oky! Truth be told, I'd prefer not to mix fleshies and yellow, too, but I work with what I got. I don't have the parts to make this figure, but I think for a generic HYDRA soldier, you could use this head, this torso, plain black legs, and a weapon of your choosing. For Codename: Bravo from the Captain America comics, I used this for the hair, Hawkeye's face (glasses side), torso, and legs, and dark red arms.